GROHE DreamSpray® technology is at the heart of every GROHE shower. 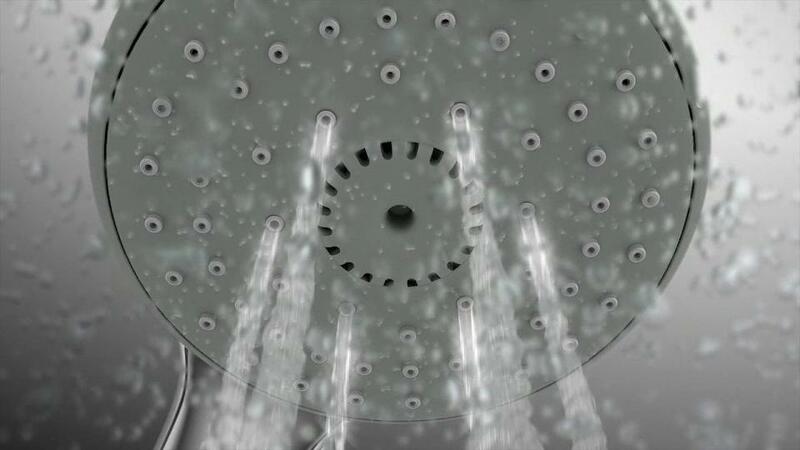 Boasting the absolute finest quality, it incorporates innovation that helps you to enjoy an unparalleled showering experience. The advanced shower engines inside the shower head deliver utmost precision and consistent water distribution to each individual nozzle. Whatever spray pattern you choose, for whatever your mood, you will be assured of sheer fun under the shower. Together with our GROHE CoolTouch®, GROHE StarLight® and GROHE EcoJoy™ technologies, you will have an unsurpassable showering experience. The InnerWater Guide protects against scalding and prolongs the life of the chrome surface. Direct access to your preferred spray. Simply choose between GROHE Rain Spray - the classic - or the air-infused GROHE Rain O2 Spray. Enjoy the feeling of a fingertip massage with the innovative GROHE Bokoma Spray® engine. A simple wipe of a finger is all you need to remove any limescale.